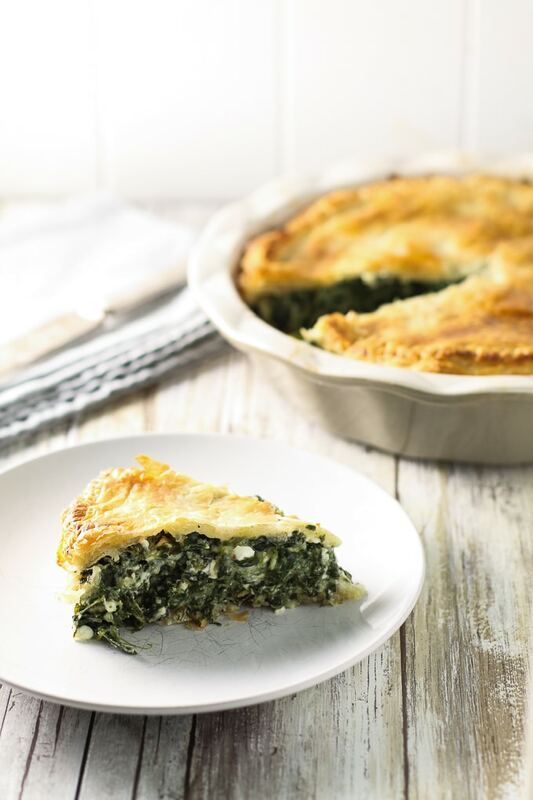 Spanakopita (Spinach Pie) - One of my favorite recipes, ever! 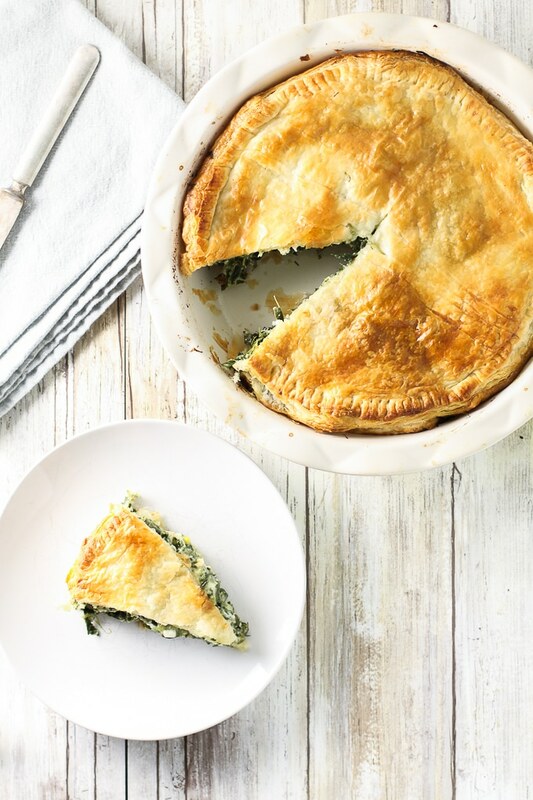 This hearty version of Spanakopita (Spinach Pie) layers tons of spinach, four different cheeses, green onions and dill under a delectable puff pastry crust. You know what’s fun about being unmillennial? You can say things like “Oh back YEARS ago, I used to frequent this little Greek cafe in Homewood, Alabama and I remember they had THE best spanakopita. I was eating spanakopita when some millennials were still in diapers. I used to eat spanakopita at Nabeel’s Market in Homewood, Alabama circa 2001-2002. Here are the dates millennials were born. Check them and think of what you were doing around 2001. You may be reminded of how unmillennial you are, too. Anyway, those years have faded, but my love for spanakopita has not. So when I saw my friend Danielle (you may remember her from The Eyelashes Episode — she’s a lash extension lover and the mastermind behind Nourish — a 21-day group program that teaches people about clean eating and developing a better outlook on food) share her mom’s Spinach Pie recipe on Instagram, I was like “Oh yes. I MUST make this. Today.” And I did. Actually it was the next day. But you get the point. If you can’t tell from the picture (you can, though, right?) how amazingly delicious it was, then I can’t help you. Or actually I can. I can share with you the recipe below. I can tell you to make it. And I can tell you that it’s okay if you don’t come back to tell me how amazingly delicious it was… ’cause I already know. This is an updated version of Danielle’s recipe. You can find her Mom’s Spinach Pie original recipe here. Danielle and I discussed that hers is a more Italian version of spinach pie; mine, in trying to recreate (very successfully I might add) the Nabeel’s Spanakopita, is a more Greek-inspired version. I added dill, left out the nutmeg and subbed in cottage cheese (not a Greek inspiration; simply wanted to use up the cottage cheese I had on hand). I also used puff pastry for ease, rather than layering phyllo dough and butter, which would’ve been more true to the original Nabeel’s recipe. Squeeze water from spinach; place in a large bowl. Melt butter in a small skillet; add green onions and saute until tender. Add sauteed green onions, all cheeses, eggs, salt and pepper in a bowl to spinach in bowl; stir well to combine. 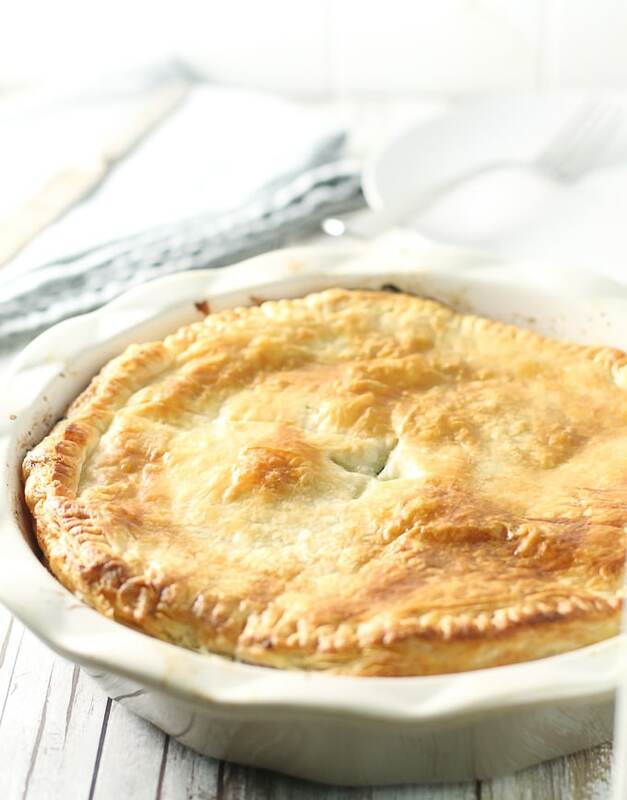 Cut puff pastry in half; roll one half of puff pastry large enough to fit in bottom of pie plate. 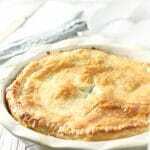 Carefully transfer crust to pie plate; top with spinach filling. Roll remaining half of puff pastry large enough to fit over top of filling; crimp edges to seal pie. Cut small slits in top of puff pastry to vent. Bake for 30 – 35 minutes or until top is golden and filling is set. Looks amazing, Regan! You certainly did my mom justice here with your version 🙂 Can’t wait to try it!